The Portico Library and Newsroom is a limited company that is also a registered charity. Its work is overseen by a Board of Directors, who are also its Trustees. Before the forming of the charity in 2017, some of the Board were members of the Main Committee, the group responsible for the management of the Library. The current board members were all elected in 2018. Lynne was a teacher and lecturer in Manchester for over 30 years. She has been a member of the Library for 20 years and served on various committees during that time. Lynne has been Chair of the Library since 2013 and the inaugural Chair of the Board of the new charity. 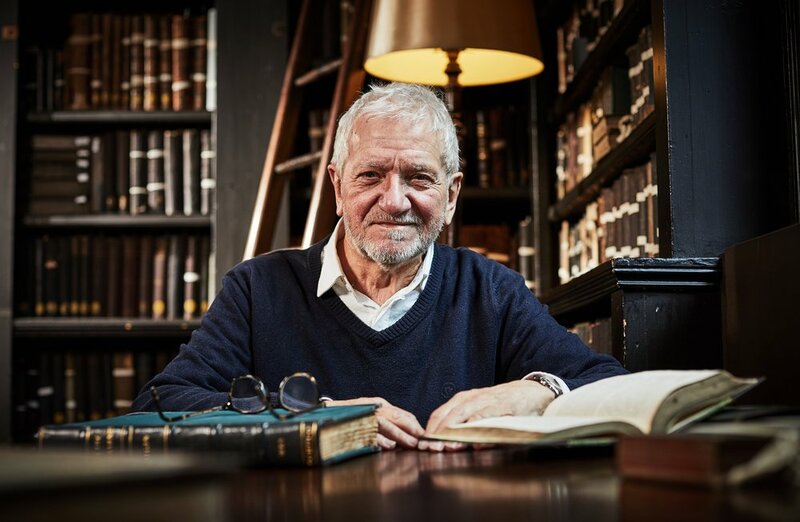 The motivation to become a trustee stemmed from a love of the Library and the determination to participate in ensuring its future as a cultural beacon for Manchester and beyond. Mike has been retired from British Telecom for 20 years and has been a Trustee of the Portico for most of that time. He became a member because of his obsession with books. His aim for the future is to rid the Library of the cream bands round so many of the books. John has been a member of the Portico since 2010. He is currently Honorary Secretary of the Library and Chair of the House Committee. He has a passion for all things bibliophile and the service the Library provides to members and the general public in developing learning. Janet was the Librarian at the Portico in the 1980s. She initiated the Portico Prize and has worked in publishing in London and the North West. Janet was involved with the restoration of Elizabeth Gaskell's House in Manchester and is delighted by the possible future developments at the Portico. Dorothy is a professional librarian and historian. She was formerly Head of Scholarly Publications in the University of Manchester Library, and Editor of the Bulletin of the John Rylands Library. She joined The Portico Library in 2012, and became a member of the Book Committee in 2015 and the Main Committee in 2016. She has chaired the Book Committee since late 2017. 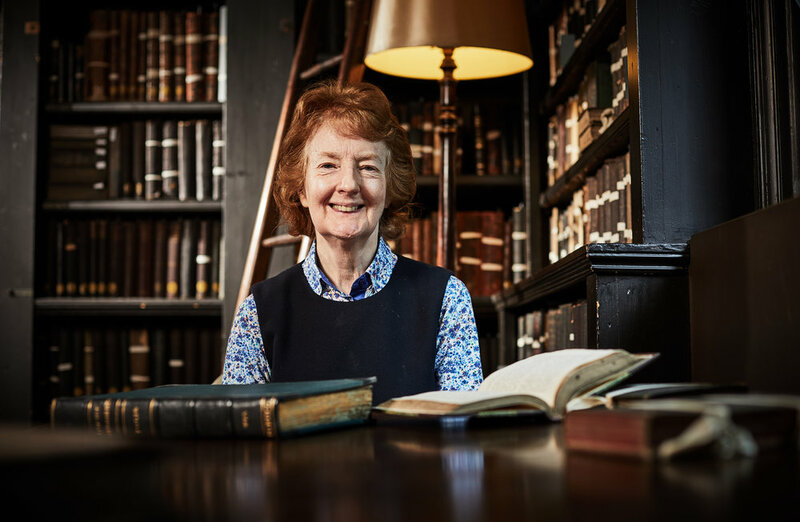 Although Dorothy is a medieval historian, she is also interested in the history of the North West, and in institutional history – particularly of schools, universities and libraries, including, of course, The Portico Library. Tony chairs the Library’s Strategic Development Committee. His interests and skills include change management, leadership of small teams, skills development, and the writing and delivery of externally funded projects, based on experience obtained at the University of Leeds and across the North West. His interests include history and travel, including travel writing. Tony has been a member of the Main Committee since 2014. Mark is a retired photographer who specialised in heritage architectural projects. He has lived in Manchester city centre for over a quarter of a century, during which time he has developed a great knowledge of its past. He was the buildings trustee for The Portico Library for many years before it gained charitable status. He is associated with many historic building restoration projects and is a member of the council’s Conservation Area and Historic Buildings Panel. John is a historian of the 20th century United States and a lecturer at the University of Manchester and Manchester Metropolitan University. He became a member of the Library in 2016 and completed the majority of his PhD thesis in the inspirational setting of the Reading Room. He became a member of the Board in 2018 and is particularly interested in the Library’s travel collections. Kathryn is a solicitor specialising in trust and charity law and works in the city centre. She fell in love with Library at first sight and finds it a peaceful haven in the midst of a busy day. She has been a trustee since 2018. John began as a teacher of French, then specialised as a teacher of English as a foreign language. This led to 20 years as a teacher-trainer at Manchester University. On taking early retirement, he had time to join The Portico Library and began writing articles for the Portico Quarterly. He is Editor of the Elizabeth Gaskell Newsletter. Reinmar is a systems geneticist and Senior Lecturer in the School of Biological Sciences at the University of Manchester where he has been a member of the Board of Governors since 2014. He studied Economics, Psychology, Law, Sociology and Biology in Germany and the UK. Reinmar has been a member of the Main Committee since 2012 and also Vice-Chair of The Portico Library Trust since 2015. Steve is a writer and heritage interpretation consultant. He lives in the city centre and initially joined The Portico as a place to work and to be inspired by the historic collection. Steve has been a Trustee since 2018 and also chairs the Library's Exhibitions Committee.